Airsoft Softwair is proud to present the immediate availability of MUI Royale 1.2. This is a major update and finally allows you to dynamically create MUI objects at runtime. 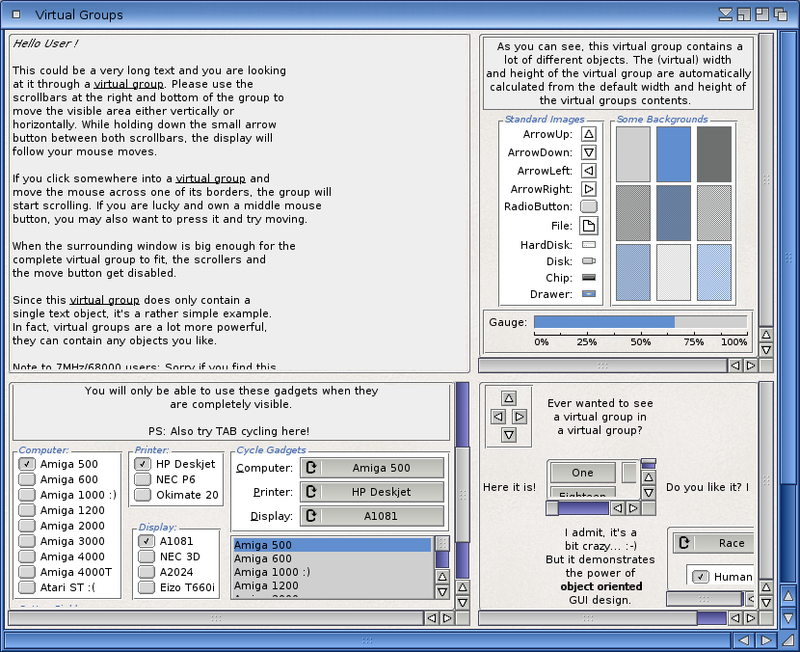 In earlier versions it wasn't possible to add new windows or gadgets to an existing GUI at runtime. MUI Royale 1.2 now adds support for dynamic modification of all GUI components which allows you to tap the full potential of MUI, e.g. it'd be possible now to write tools like a WYSIWYG GUI builder which then exports MUI Royale XML code ready to be used in MUI Royale. Additionally, MUI Royale 1.2 adds support for further new MUI 4.x features like dynamic addition of register pages or register pages with a close gadget. Last but not least the 68000 build of MUI Royale has support for MUI 3.9 now as this is finally available for 68000 systems, too. 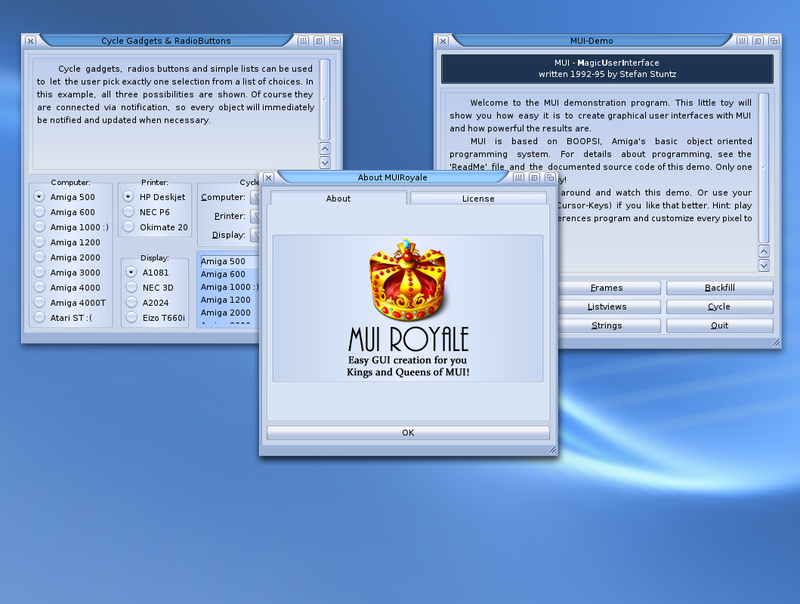 MUI Royale requires at least Hollywood 5.2 and is provided free of charge for all users of Hollywood. It is available for AmigaOS 3 (m68k), AmigaOS 4 (PPC), MorphOS (PPC), and AROS (i386). 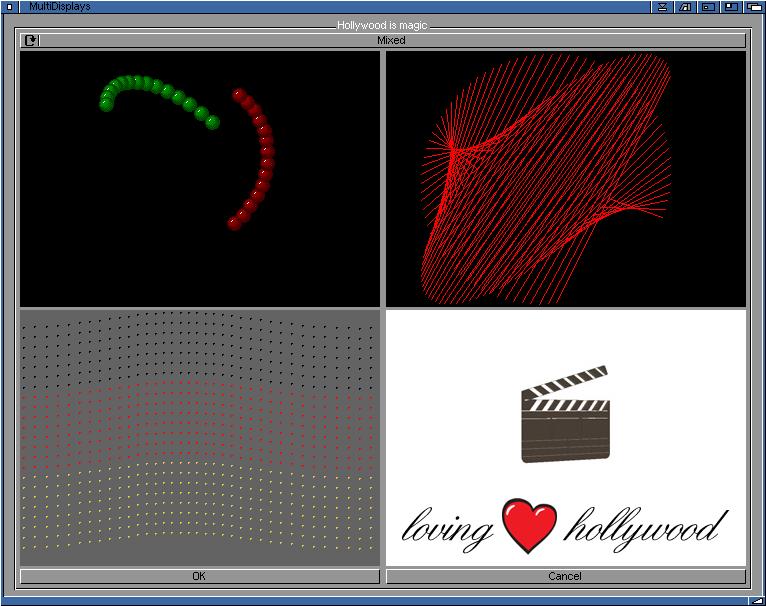 The package comes with over 20 example scripts, many of which are direct ports from the MUI 3.8 SDK by Stefan Stuntz, but there are also original developments like demonstrations of how to create a video player using the combined power of Hollywood and MUI. On top of that MUI Royale comes with extensive documentation in over 300 PDF pages which are also available in the HTML, AmigaGuide, and CHM formats thanks to the Hollywood documentation system. Brilliant - many thanks for the update .